Earlier on this month you might have seen my post on gift ideas for Mother's day for less than £30 (if you didn't you can read it here) This post is going to be the gifts I'd recommend if you want to spend a little more...why not treat that hardworking mama a bit eh!? First up are these Topshop Rain macs (£49-£60)- Whether your buying for a new mama who strolls through the park with the babe, a mama who does the school run or a mama who takes the dog out at the weekend, a nice practical coat is a godsend. I have the red mac and love it to bits. It's lightweight enough to wear on warmer days but spacious enough to wear over jumpers in the colder weather. I honestly cant recommend this jacket enough! Fancy treating mum to a nice box of biscuits? 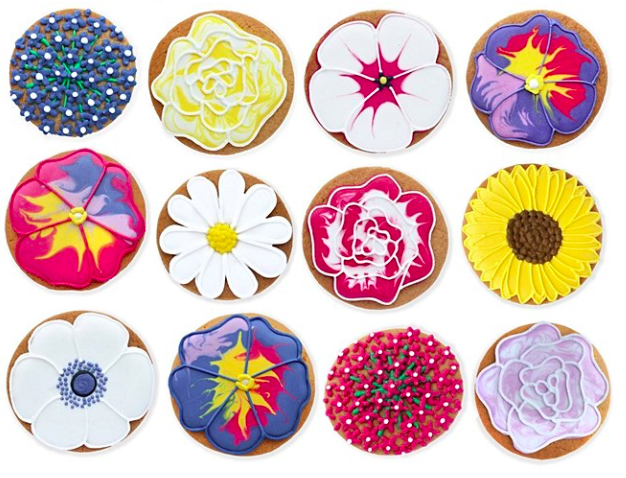 Well, Biscuiteers are THE most beautiful ones I've seen! I first heard about them on one of Zoella's vlogs and although I haven't tried them out for taste yet I cannot get over how visually appealing they are...nearly too lovely looking to eat right?! This Mother's Day Bouquet box is £39.50 but what a treat it would be to receive this. 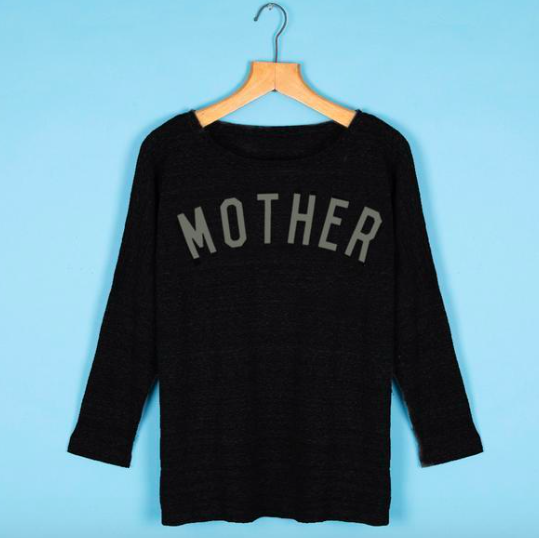 Of course no Mother's Day gift guide would be complete without including a Selfish Mother top. Perfect for the warmer weather this 3/4 length sleeved tee (£35) would be ideal to chuck on with a pair of skinnies and converse. Next up is a practical but I'd say pretty luxe gift to be given.. the GHD hairdryer (£99). I've had mine for a few years now and it really has changed by hair drying experience. It takes me about 5 minutes to dry my hair and the ionic technology built into the dryer leaves my hair feeling sleek and soft. 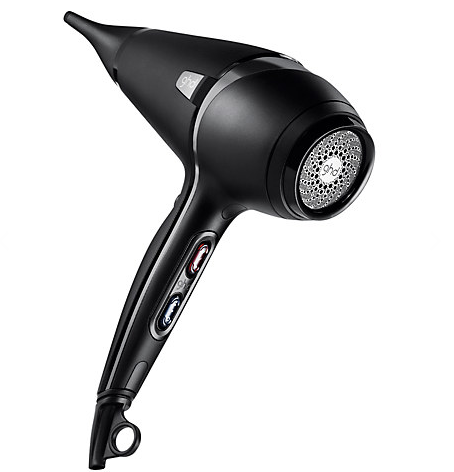 I don't think I could ever go back to using a standard hairdryer now after having this magic tool! Buying for a mama who's still doing nightfeeds? Well this is THE perfect gift. Buying a torch for someone might seem a bit odd but trust me, she will appreciate this. I use my Meemoobaby Meelight (£39) every night when tending to the baby, navigating around the bedroom trying to find my phone charger or even just going to the loo. I blogged about it here earlier on in the year too. Last but by no means least, some chocolate! 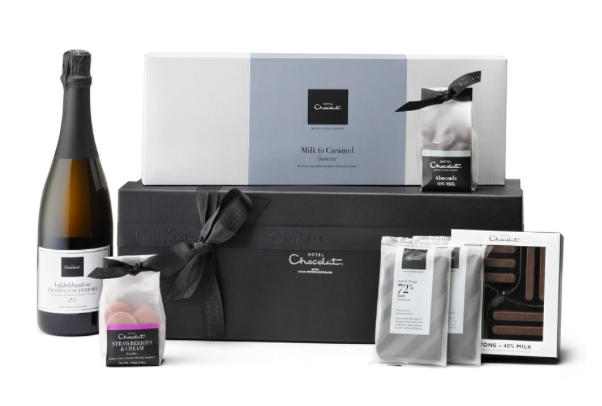 This Hotel Chocolat Prosecco and Chocolate Collection (£70) is the ultimate gift for a sweet toothed mother! It contains caramel and milk chocolates, strawberry and white chocolate puddles,chocolate batons, chocolate almonds and a bottle of Prosecco. How many sittings would it take you to polish this lot off?! me? Probably just one...! 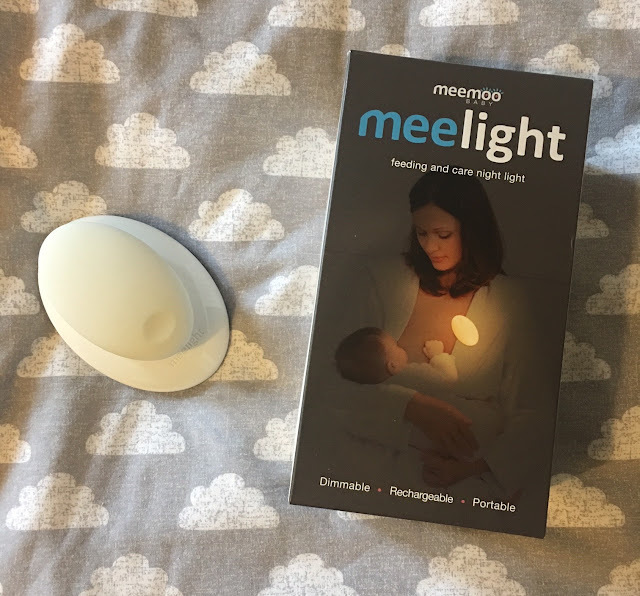 Hope you've found some inspiration in my Mother's Day gift guides; I love browsing through and picking out the gifts I think would work for other mums out there. What are you planning on buying this Mother's day?